The sweet joys of irony. A group of flag burners showed up to well, burn some flags and protest some cops. Unfortunately for them, a group of bikers didn’t think too highly of them setting our flag on fire, so they started kicking their asses. And then the flag burners had to call the cops for help. 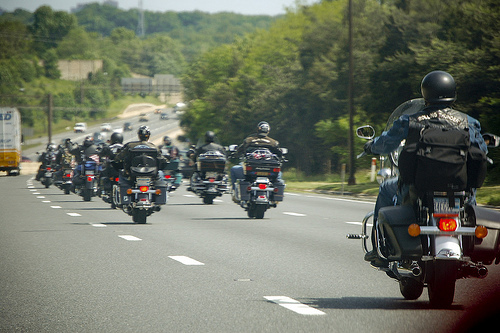 One biker said the flag burners run away like little bi–hes. Once the bikers slapped them a couple of times, they run as fast as they could. The flag burners have actually announced on social media that this flag burning is going to be a protest against NYPD policies. Their plan started going seriously wrong when counterprotesters, including a group of bikers, showed up.